The designer bottle of Al Ayam opens with a blissful, fascinating, and a sense-driven effect that makes you go nuts for this exotic aromatic and long lasting fragrance. It opens with the mesmerizing rose, water fruits & fresh green notes, and gradually transforms into a middle note of rose, jasmine & hyacinth and ends up with a base note of cedarwood and sandalwood. It is a perfume that lingers in the body of the wearer for long. 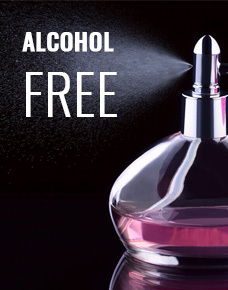 This alcohol-free perfumed oil which is made up of natural ingredients is skin-friendly and can be mixed with other fragrances and diffuser oil. One of the best perfume oil in USA. Zahra, a blooming flower, is a sweet floral oriental fragrance that gradually becomes little spicy. Mukhalat Malaki, meaning rich perfume essences for the noble, is a blend of traditional Arabic perfume oil, evocative of timeless tradition. Ahlam meaning ‘Imaginative’ in Arabic, is a combination of a romantic, classical and a modern fairy tale fragrance. Confined in an ethnic golden bottle, the Waqar fragrance leaps the wearer off his feet with its intoxicating and intense aroma as soon as it escapes into surroundings.